Top of the page. 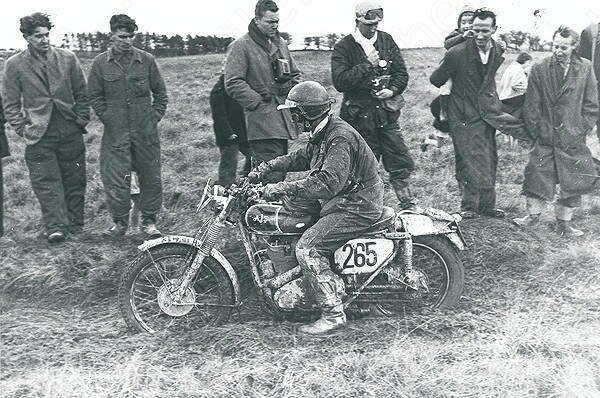 Tim Gibbes on an AJS 350 in the tough 1960 ISDT. Photo second to top. 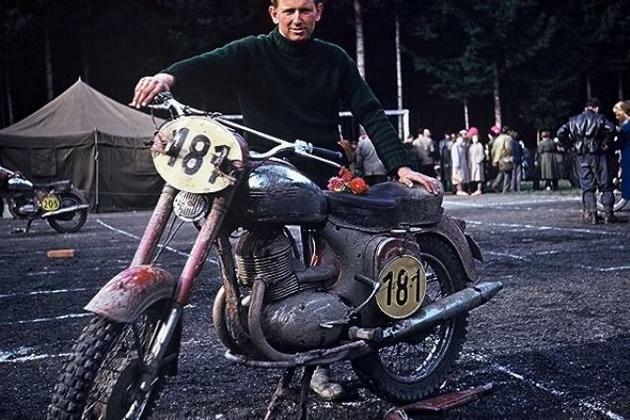 Tim rode a Jawa 250 Libenak at the 1957 ISDT. Click the photo to see video of the tough 1960 ISDT and get an insight to the politics of cold war ISDT competition from the commentary. Although arguably an Australian by birth and riding for Great Britain, we like to claim Tim Gibbes ISDT achievements as our own because of his long years of residence and great contribution to NZ motorcycle sport. Tim won six gold medals in the International Six Day Trials before the days when either NZ or Australia were directly affiliated to the FIM. In the photo at the top of the page Tim is seen riding to another gold medal performance in the 1960 ISDT (now called ISDE) at Bad Aussee in Austria. During the period 1955 to 1963 Tim won six Gold Medals & one Bronze. Tim also competed in World Championship Motocross events and was a motorcycle test rider for various factories including, Matchless, AJS, Ariel and Yamaha. 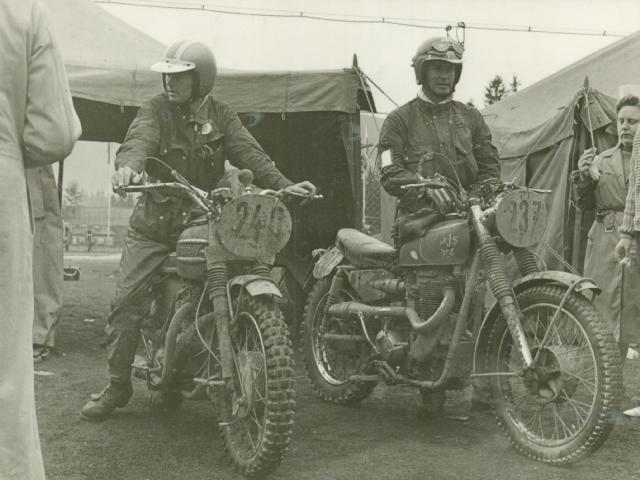 Tim Gibbes (on right) with legendary USA Triumph rider Bud Ekins. 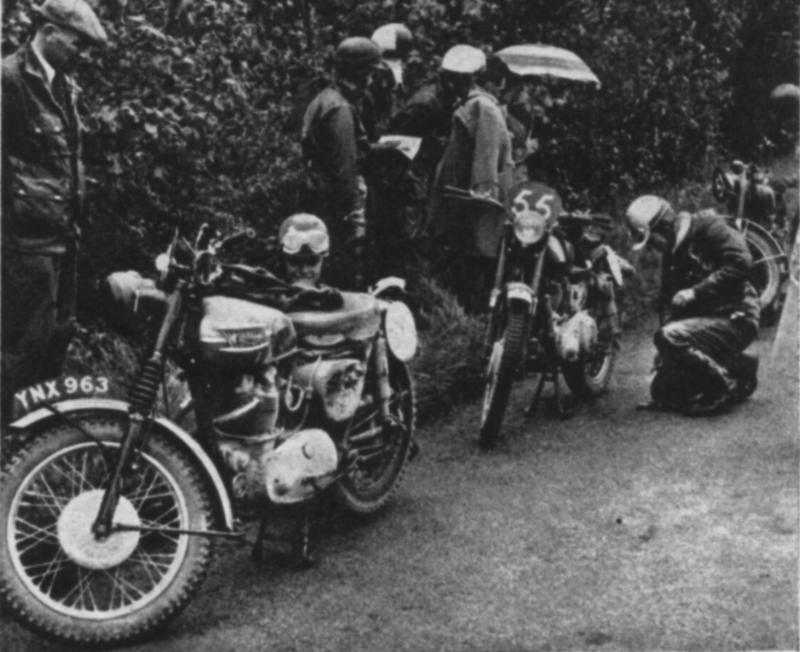 Tim Gibbes number 55 does spme fettling at a checkpoint at the Welsh 3 Day in 1958. John Giles ahead of him. 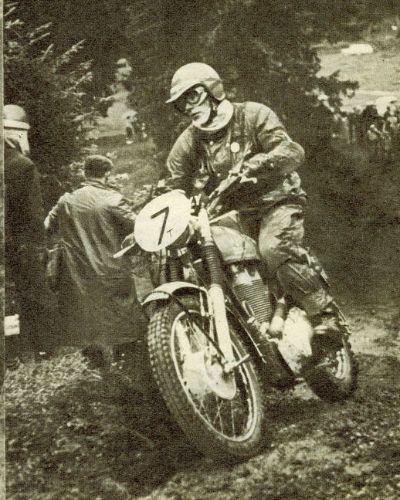 Tim at the 1962 ISDT. 1950s ISDT gallery - considering the the modest power and basic suspension these events were grueling in the extreme!